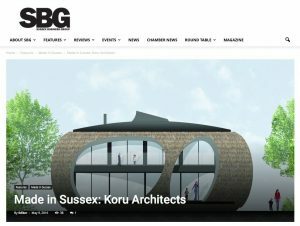 ‘Made In Sussex: Koru Architects’ in Sussex Business Times, May 2016. Sussex Business Times featured us in their regular ‘Made in Sussex’ series which showcases local businesses and their company stories. We were very happy to get a full page feature in both their print and online editions. You can click here to read the full article online and get an insight into what Koru Architects is all about.